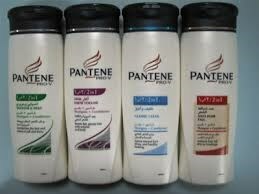 Pantene is a brand of hair care products owned by Procter & Gamble. The product line was first introduced in Europe in 1947 by Hoffmann-La Roche of Switzerland, which branded the name based on panthenol as a shampoo ingredient. It was purchased by Procter & Gamble (P&G) in 1985 in order for P&G to compete in the "beauty product" market rather than only functional products.